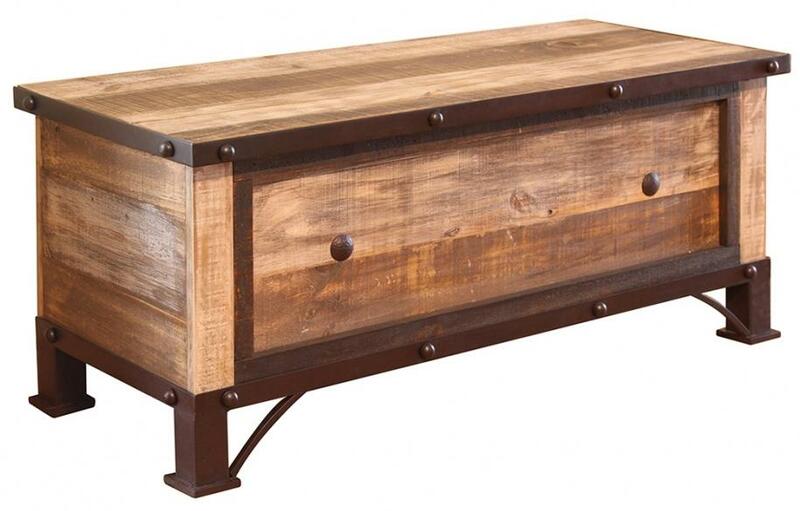 Add rustic charm to your bedroom with this lift top trunk. 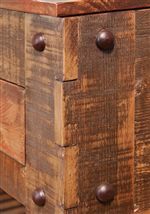 A hand distressed and wire brushed finish is applied over solid pine to give this piece a natural and attractive look. Store extra blankets, linens and more conveniently in your room with the large compartment. 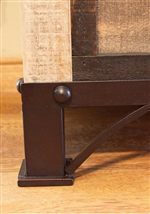 Completing the country inspired look are the hand forged iron details in the base trim and bold nail head details. The 900 Antique Rustic Lift Top Bedroom Trunk by International Furniture Direct at Miskelly Furniture in the Jackson, Pearl, Madison, Ridgeland, Flowood Mississippi area. Product availability may vary. Contact us for the most current availability on this product. Wood & Finish Each piece features a hand distressed multi-color finish on hand brushed wood to resemble real, recovered wood; A final clear lacquer nitrocellulose coating protects colors and is smooth to the touch. 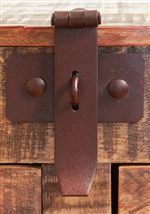 The 900 Antique collection is a great option if you are looking for Rustic Casual furniture in the Jackson, Pearl, Madison, Ridgeland, Flowood Mississippi area. Browse other items in the 900 Antique collection from Miskelly Furniture in the Jackson, Pearl, Madison, Ridgeland, Flowood Mississippi area.